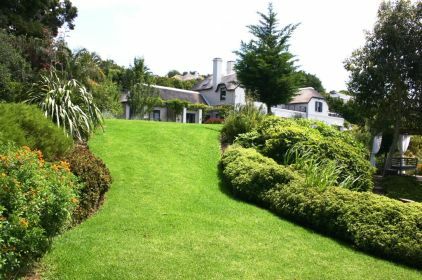 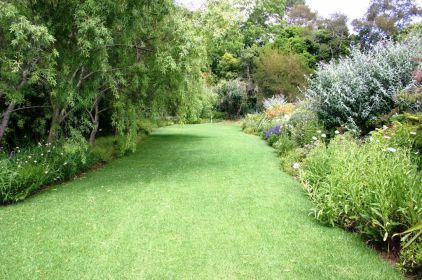 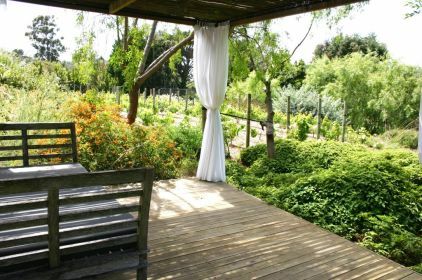 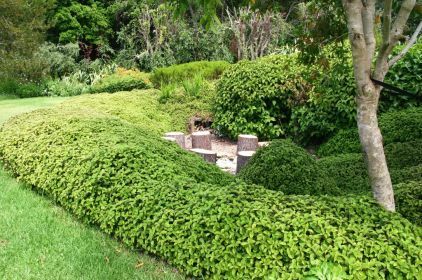 On the outskirts of Cape Town, immediately adjacent to one of the most beautiful wine producing areas of South Africa, you will find Monterey. 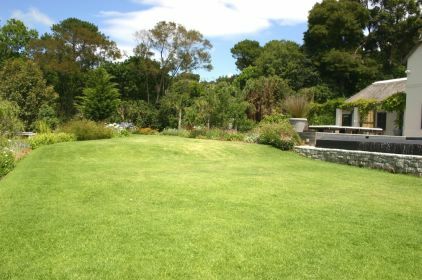 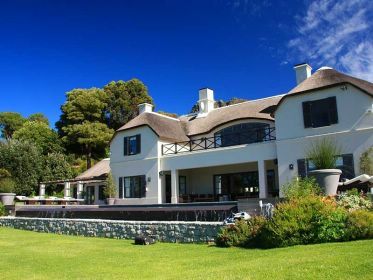 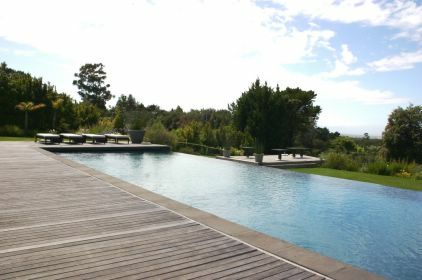 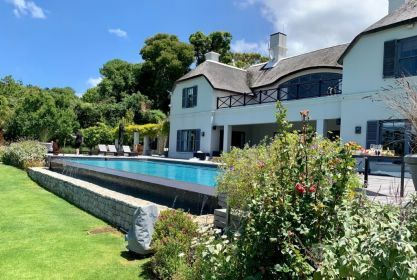 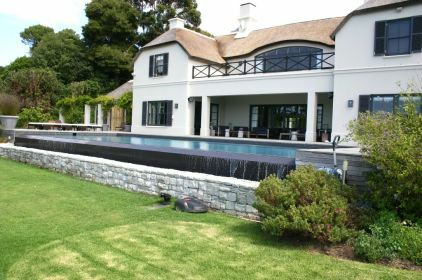 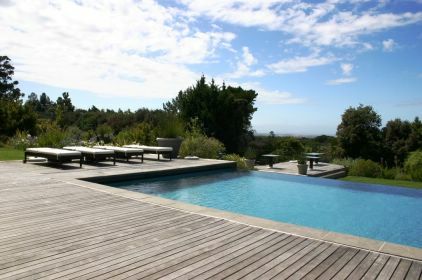 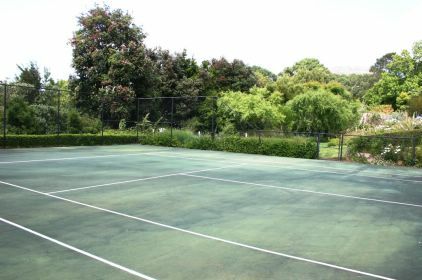 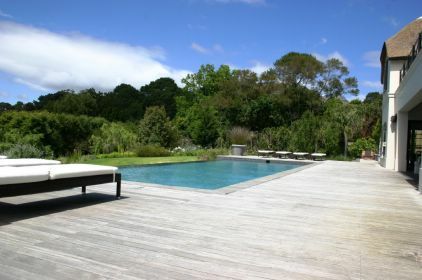 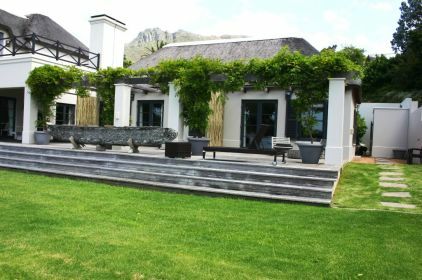 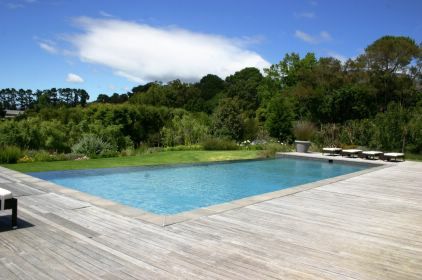 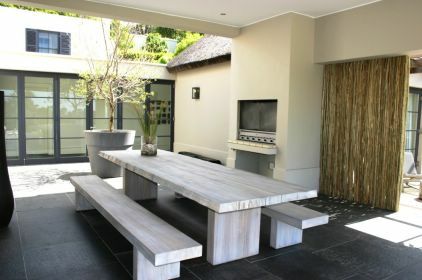 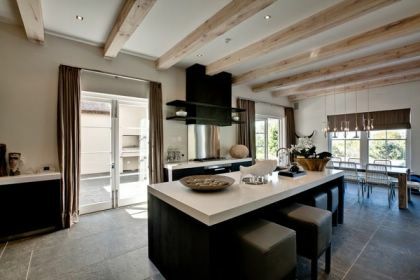 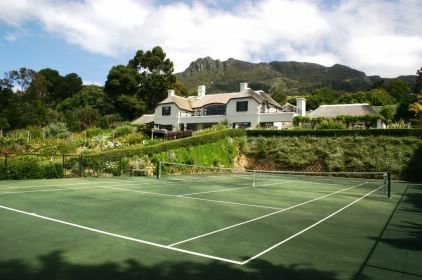 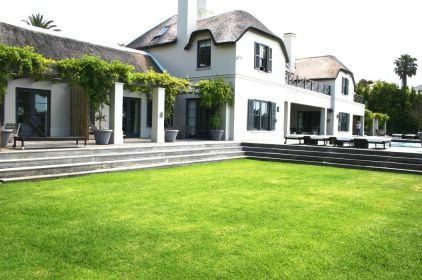 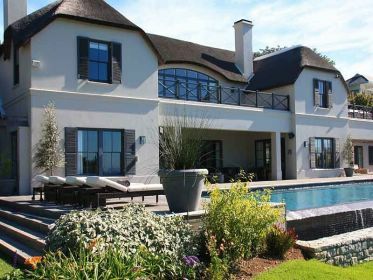 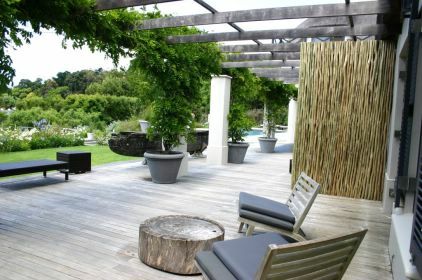 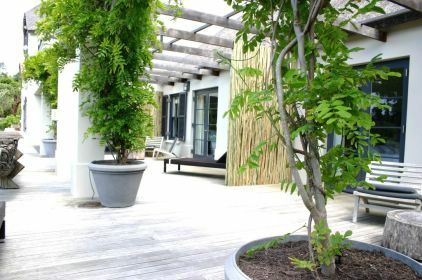 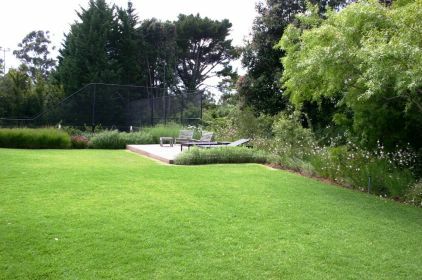 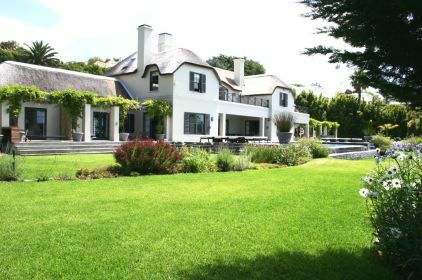 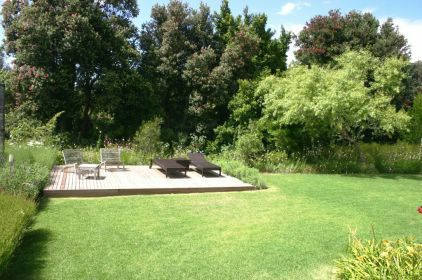 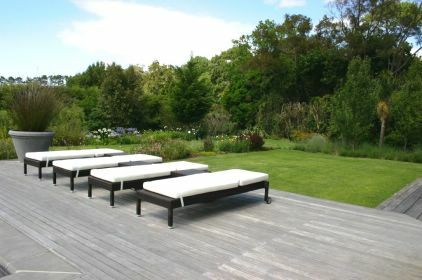 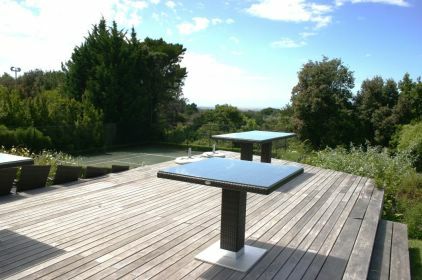 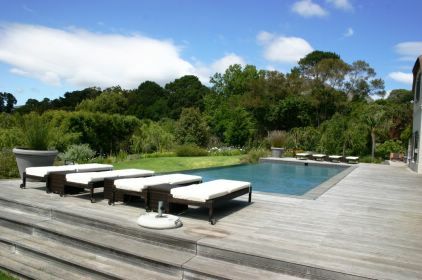 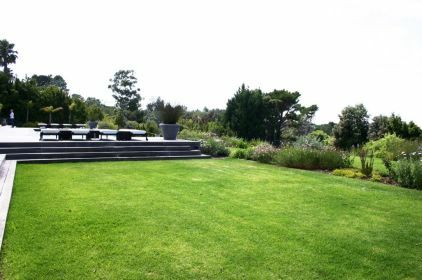 This dream villa is uniquely located in Constantia, one of the most prestigious suburbs of Cape Town, with a view of False Bay and the back of the famous Table Mountain! 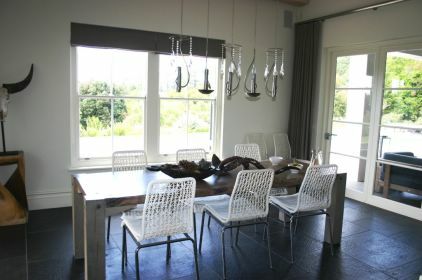 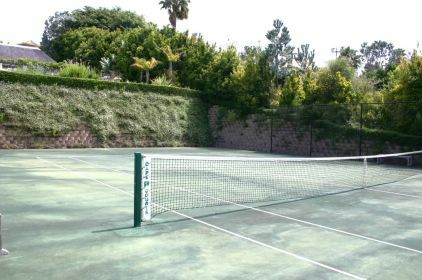 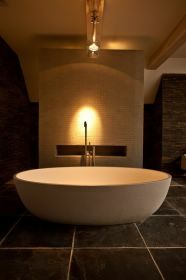 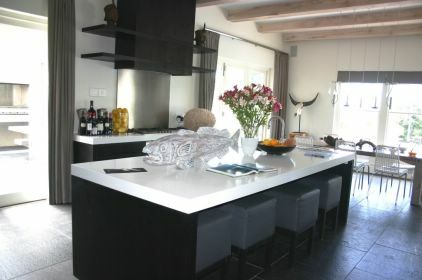 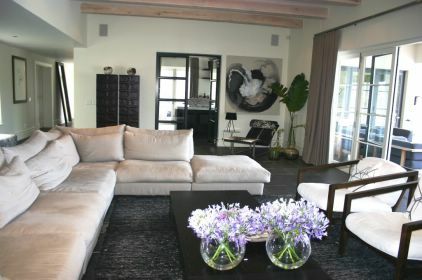 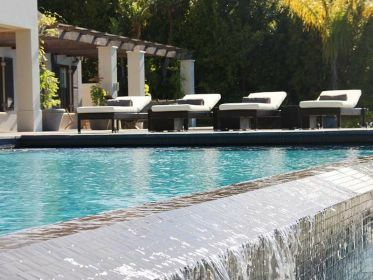 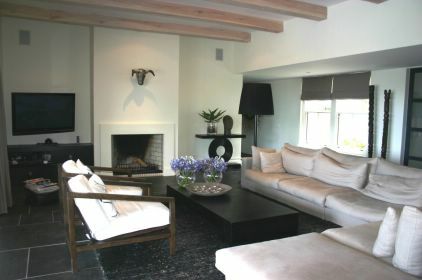 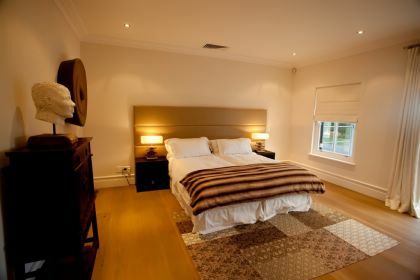 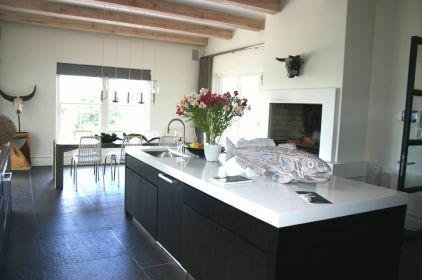 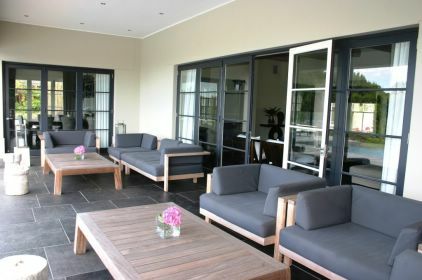 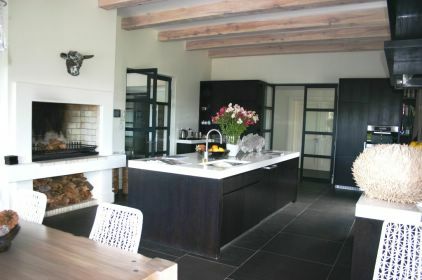 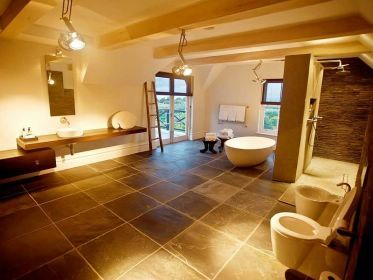 The villa offers an abundance of luxury, absolute privacy and a wide range of modern facilities. 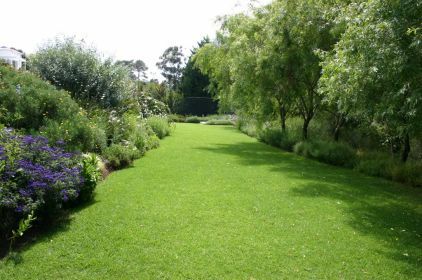 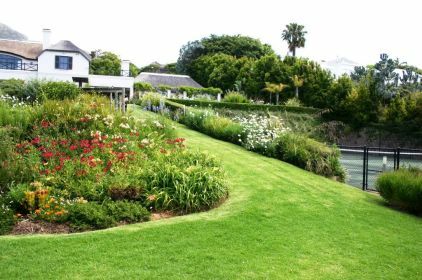 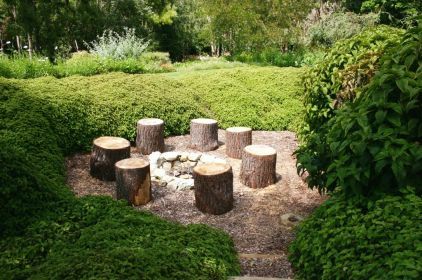 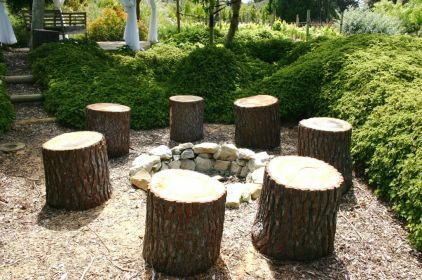 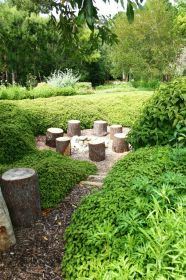 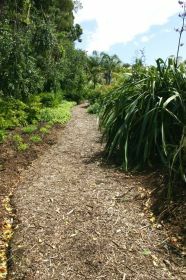 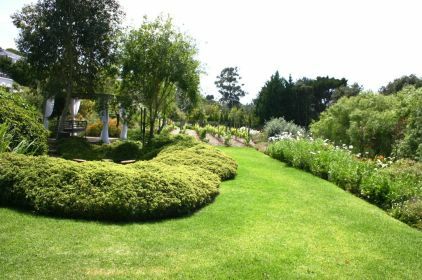 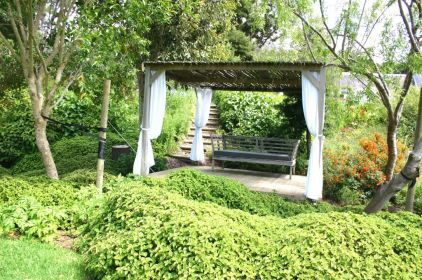 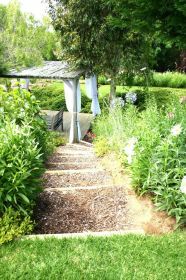 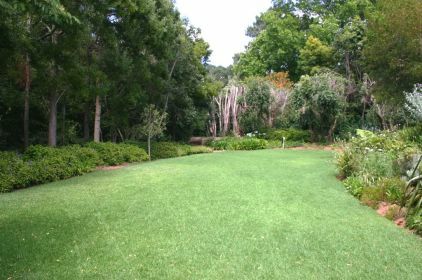 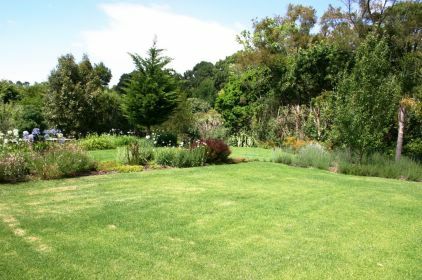 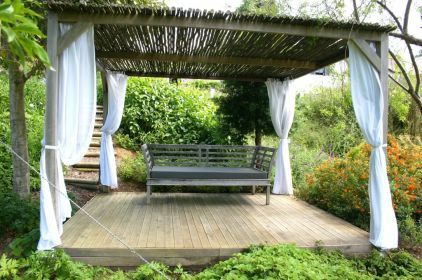 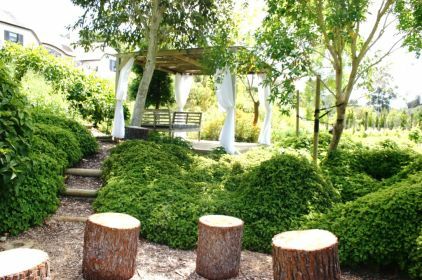 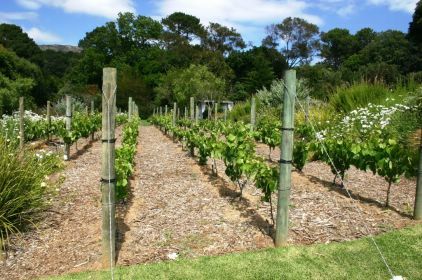 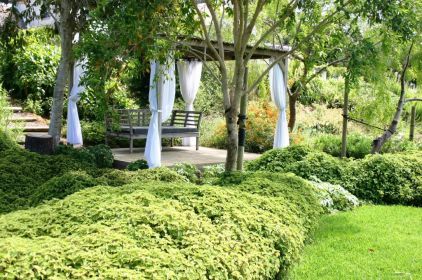 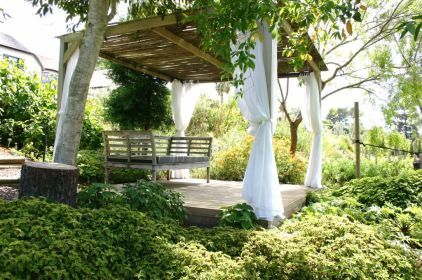 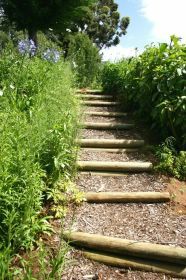 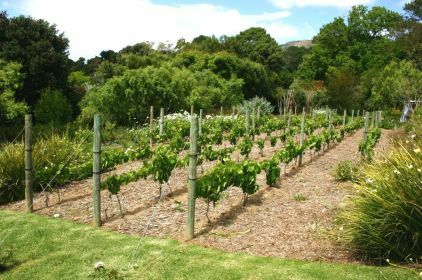 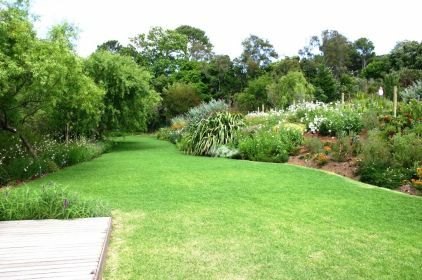 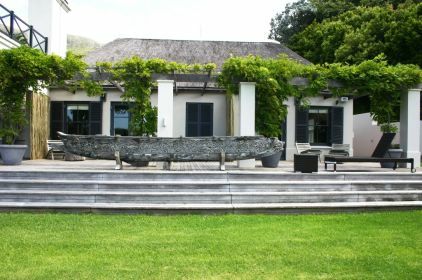 The spacious, award-winning garden contains not only many trees and a kaleidoscope of indigenous flowers but also an authentic vineyard growing Sauvignon Blanc grapes. 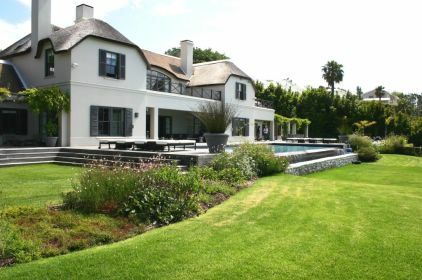 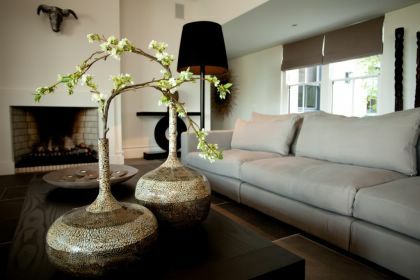 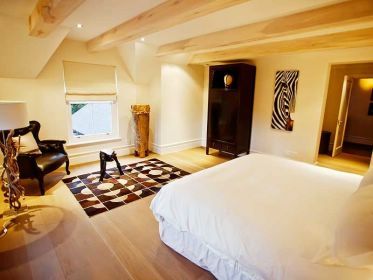 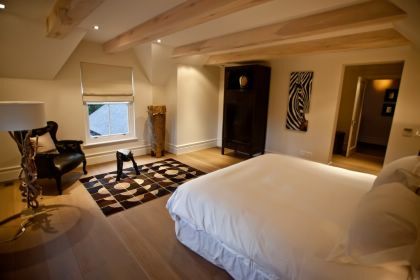 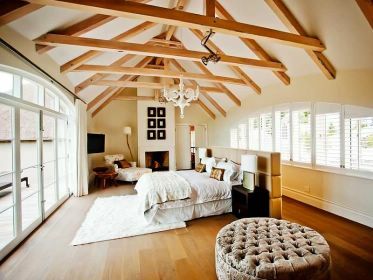 The property boasts seven en-suite bedrooms, a charming living room, modern kitchen, formal dining room and four fireplaces. 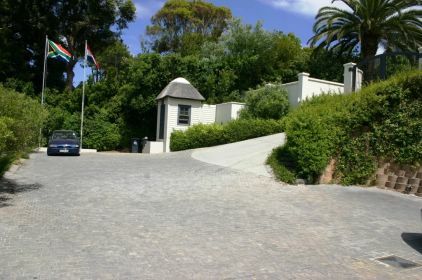 The superb wine cellar is filled with the very best of South African wines. 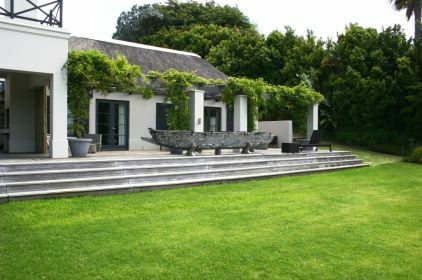 The villa operates as a self-catering villa or as an up-market Bed and Breakfast where individual suites are let separately.